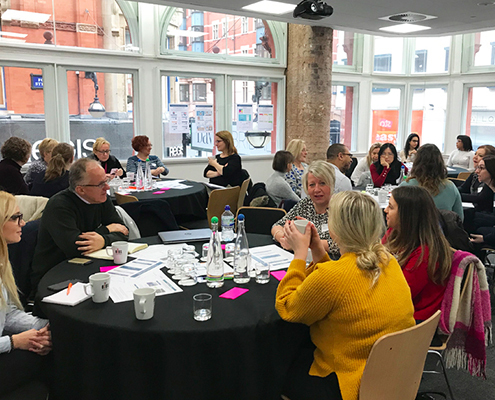 On the 09 January 2019, NIHR CYP MedTech held a Transition Innovation Workshop at The Studio in Birmingham. The workshop was supported by the West Midlands Clinical Research Network. 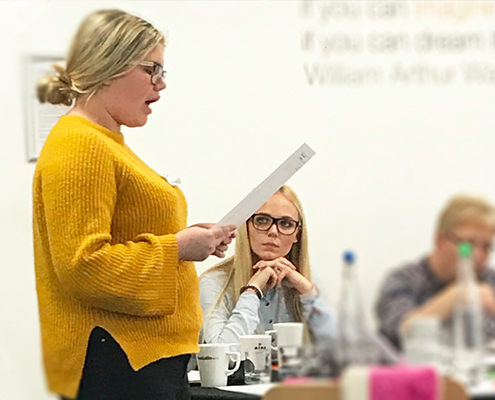 We had a great turn out of health care professionals from multiple specialities, SMEs, big businesses, academics, as well as young people and parents. We heard talks from Professor Jeremy Kirk, Professor Paul Dimitri, Dr Helena Gleeson, Dr Larissa Kerecuk, Dr Sarah Mitchell, and Dr Priya Narula. Throughout the day, attendees worked together in multidisciplinary teams to generate and develop technology ideas. NIHR CYP MedTech are supporting these ideas to move them forward. Lab4Living from Sheffield Hallam University collaborated with us to facilitate the day. Dr Helena Gleeson is our Transition theme lead and a Consultant Endocrinologist at Queen Elizabeth Hospital in Birmingham.